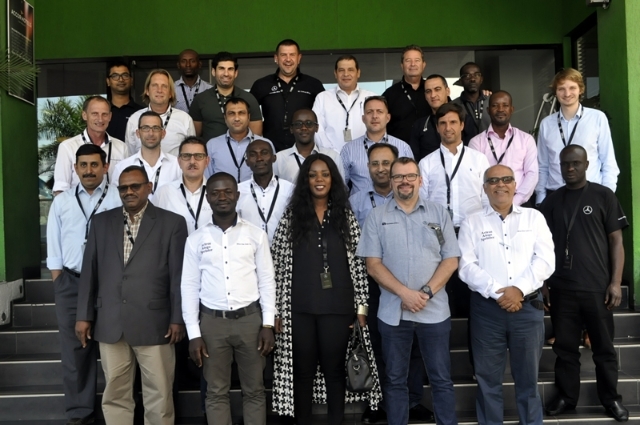 Over 30 delegates from Mercedes-Benz distributors around the African continent attended a Technical Exchange Meeting in Accra, hosted by Daimler AG and Silver Star Auto Ltd (SSAL). The exchange meeting was aimed at updating the African market with new service information on Mercedes-Benz Commercial Vehicles. The Exchange Meeting began with a dealership visit where participants toured Silver Star Auto (SSAL) workshop office in Tema to acquaint themselves with operations of the local dealer. The annual Mercedes-Benz Technical Exchange Meeting brings Mercedes-Benz general distributors across the African continent to exchange their technical experience, deliberate on current trends in the market and acquire new service and product information from the manufacturer. Addressing the media on the workshop, Mr. Torsten Bauerheim, Head of Sales and After-sales, Mercedes-Benz Trucks Regional Center Africa, expressed satisfaction with the programme. He observed that the complexity and difficulty of the situation in the African market have been factored in the organisation of the annual exchange program to identify specific issues pertaining in each country for a prompt solution. 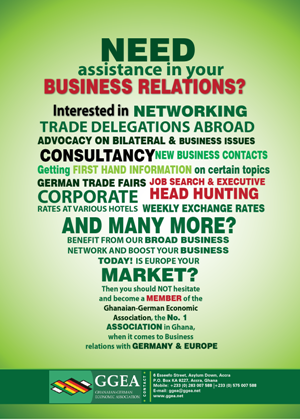 Mr. Bauerheim was impressed with the potential of Ghana’s automobile market especially for Mercedes-Benz and hoped the program will boost the knowledge of local dealers (SSAL) on current trends to promote the industry. On his part, Mr. Ahmed Farouk, General Manager, After-sales, SSAL said the company was glad to host the event for the first time. “The ultimate goal of the exchange program is to manifest into customer satisfaction and as the host more of our Technical men have gotten the opportunity to attend the program to acquire knowledge for our market and for an improved service moving forward”. He was also optimistic the exchange of ideas by Mercedes-Benz distributor countries on the African continent will boost the continent with new service information to improve performance and customer satisfaction. Adding his voice, Mr. Jost Forchner, Master Technician, Mercedes-Benz Technical Factory Support for Commercial Vehicles underscored the benefits of the program for the distributors explaining that “without open discussions, we cannot solve issues for the dealerships with their customers and for the dealerships with the manufacturer”.